With Halloween fast approaching, we thought we would get into the scary spirit by showcasing some of our spookiest properties! Did you know that here at Clickstay, we have some truly amazing castles for you to stay in? They're steeped with history and culture and make the perfect holiday home for families or wedding parties. Here are some of our absolute finest, adorned with just a few pumpkins, to give you some Halloween inspiration! 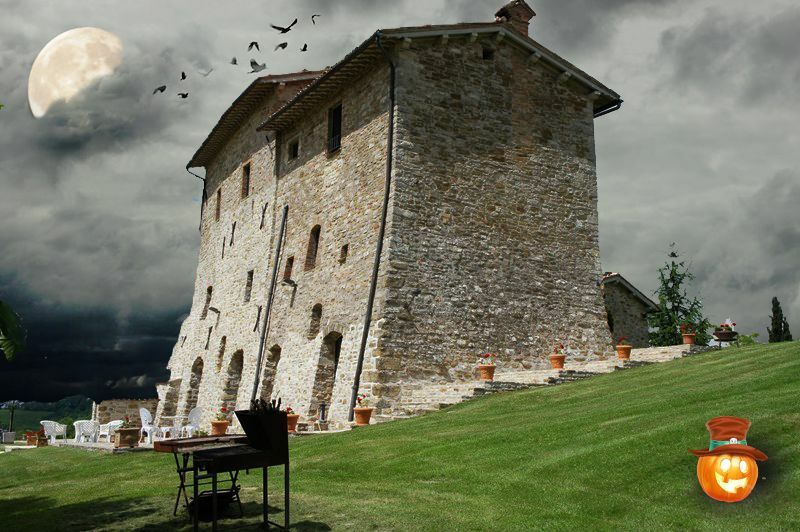 Palazzo Scagliae is the ultimate scary property, described by our renters as 'an experience out of the ordinary.' The private castle is perfectly secluded in a 12 acre estate on top of a mountain and close by, you can take a journey into the past to the small town of Gubbio, which is saturated with medieval history. The castle itself has been tastefully furnished with antiques, each with their own story to tell, and the bare stone walls inside give the property a beautiful, traditional character. Whether you choose to immerse yourself in the incredible culture of the castle and surrounding area, or simply relax in the out door hot tub for the peace and quiet, you're sure to enjoy your stay at Palazzo Scagliae! See more of our villas and apartments in Italy. 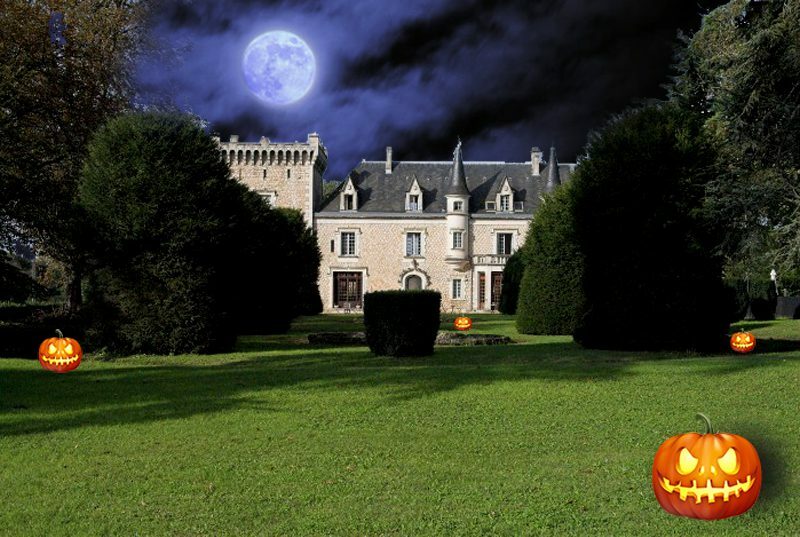 Chateau De La Rose is an aristocratic residence set in the wooded hills of the Dordogne valley. The large private estate dates back to the 13th century and has now been with the same family for the last three centuries. Listed among the Historical Residences of Character, when you arrive at Chateau De La Rose you will find yourself surrounded by a beautiful and inspiring landscape dotted with vineyards, elegant chateaux, ornamental gardens and picturesque villages. 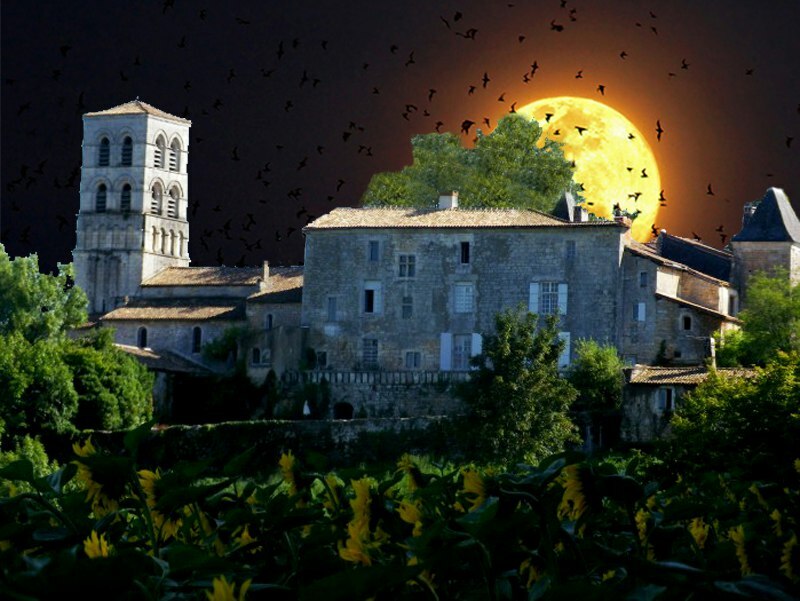 You can see more of our villas and apartments in France here. 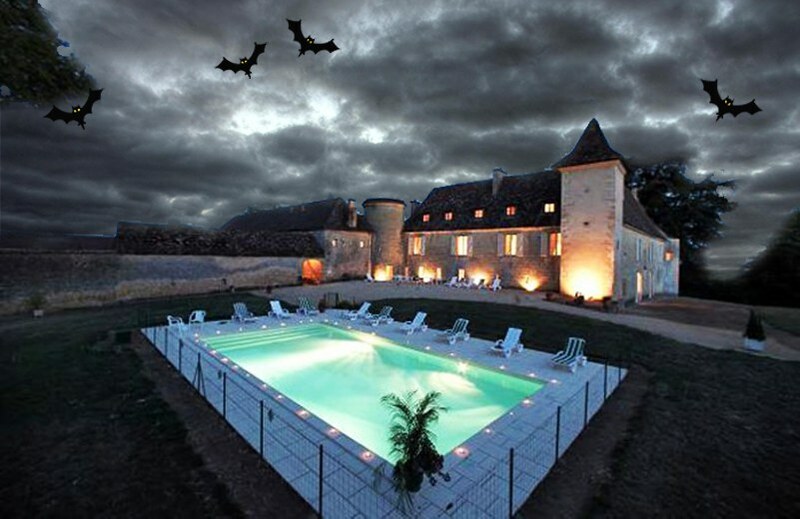 Chateau De La Couronne is one of the largest properties on our website, with the space to sleep a whopping 26 people! Dating from the 10th century and built dramatically on a hillside, Angouleme's old town is only a short drive away and has quintessential cobbled streets packed with buzzing restaurants and cafes. 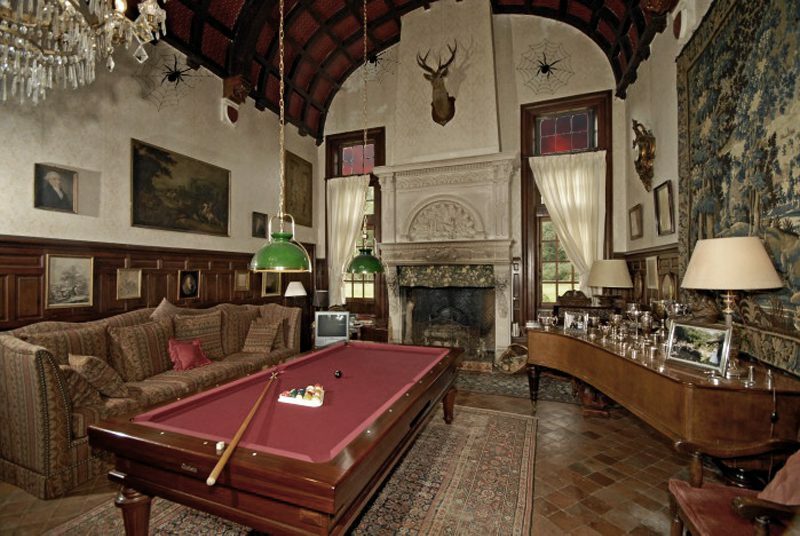 The enormous property comes with a heated outdoor pool, it's very own cinema and music room, a function room, five acres of parkland, a caretaker AND a housekeeper! The perfect setting for a Murder Mystery weekend! Chateau Des Perdrix sits within a 240-hectare estate, dating back to the 15th century. More a hunting lodge than a chateau, the property has traditional furnishings, tapestries, cosy fireplaces, tiled floors wood panelling and some wonderful beamed ceilings. Surrounding Chateau Des Perdrix is an area of forests, lakes, ponds and marshes, perfect for an active holiday. We can see some spooky stories being told around the fire in this room! Chateau Des Blasons has been in the hands of the same family for an impressive 800 years and is situated in The Poitou-Charentes, known as the land of Richard the Lionheart. It is also the site of many Roman remains and lies on a famous Pilgrim route into northern Spain. As a result, there are endless possibilities for cultural excursions to medieval villages and Roman towns! Chateau De La Riviere is a luxurious and completely private retreat. It features a huge stone fireplace, beautiful furnishings and stunning terraces that overlook the river. 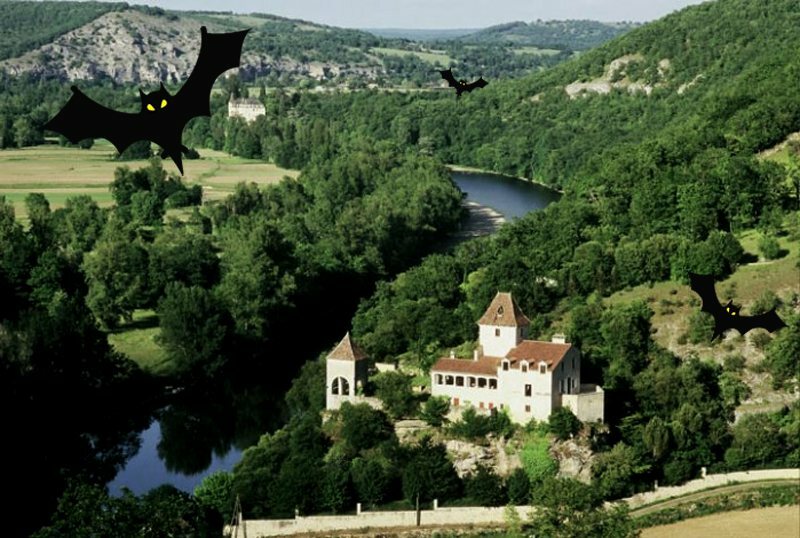 This particular region of France is famous for its caves (grottes) which showcase ancient wall paintings and spectacular stalagmites and stalagtites... the perfect place to spend Halloween!